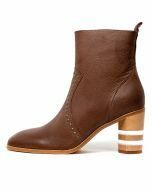 Made from sumptuous grain leather, MARMITE are a modernised take on the ubiquitous Western trend. 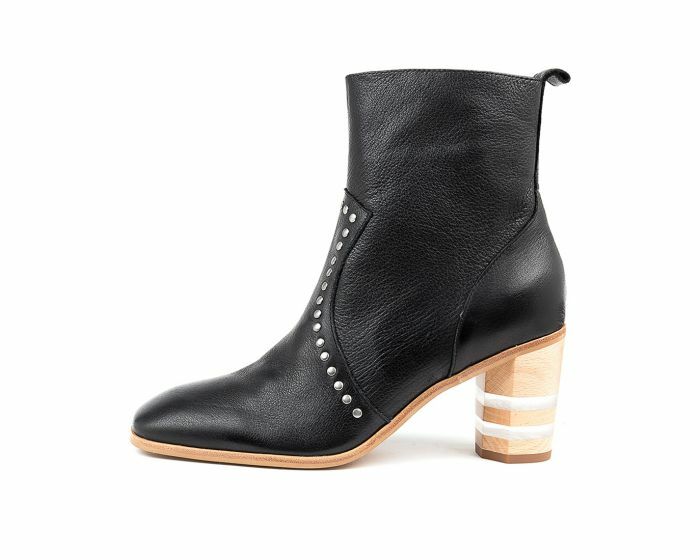 Sporting a cowboy-inspired vamp embellished with burnished studs, the pair have a loosely fitted cuff and rest upon a sculptural perspex-stacked block heel. Show them off with cropped jeans and midi hemlines.